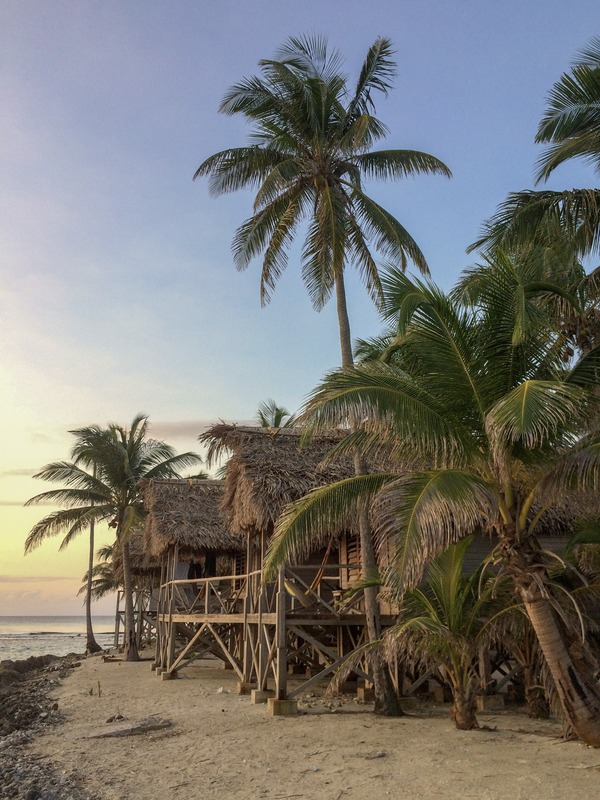 When Slickrock first moved out to Glover’s Reef Atoll in 1992 our goal was to develop an island resort in Belize that feels non-developed. Obviously if you build a building, that’s some level of development. But throughout the Caribbean there are very few facilities that are this rustic by design, or that offer this many activities just outside your room. 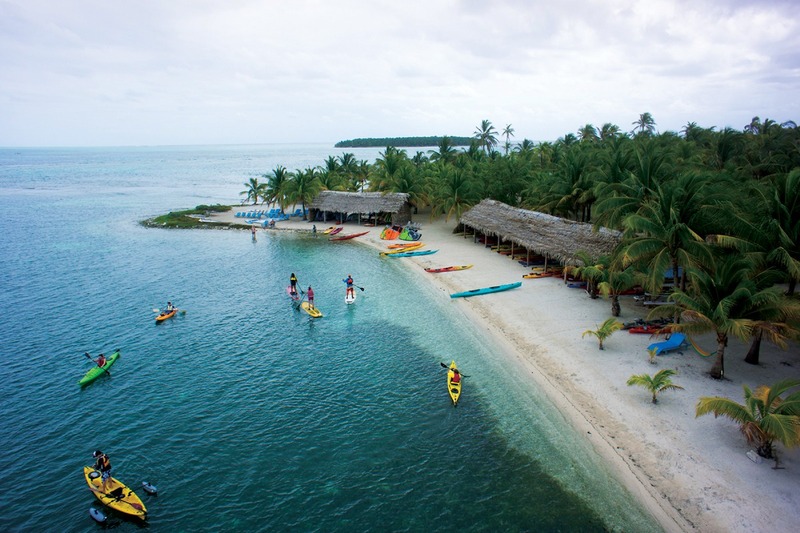 And to top it off, we have one of the best Belize beaches found in over 200 islands in the country, and we are one of the premier Belize snorkeling resorts as well, because we are located right on the reef. 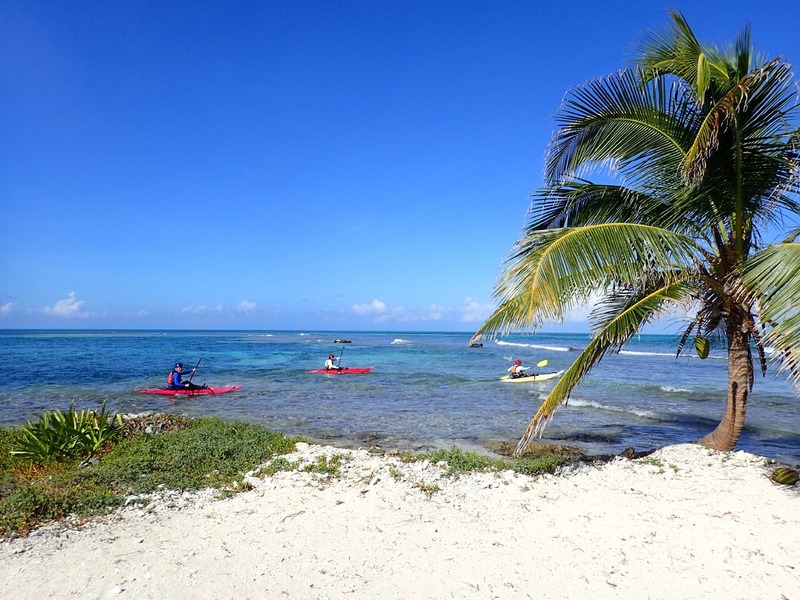 Long Caye at Glover’s Reef boasts one of the best beaches in Belize! Don’t expect a traditional hotel on our private island. At Long Caye Resort in Belize development means sixteen beach cabanas, a well-stocked kitchen, solar-powered water pumps, a composting toilet, three dozen sea kayaks, a bunch of sailboards, surf boards, fishing kayaks, and surf kayaks, and a dive shop (the only thing not owned by Slickrock). There is no maid service or internet, and there are no air conditioners or flush toilets. But there is a fridge permanently loaded with Fantas and Belikin beer. It all represents the best side of adventure travel – right down to the Belizean guides who guide you to new snorkel spots all day and then join you for dinner. 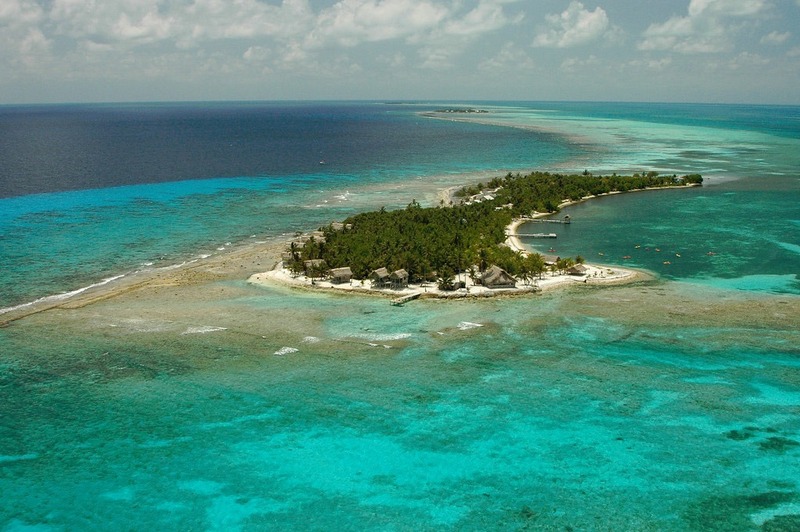 Belize is famous for its reefs, and Glover’s Reef Atoll is considered the most pristine in the country. 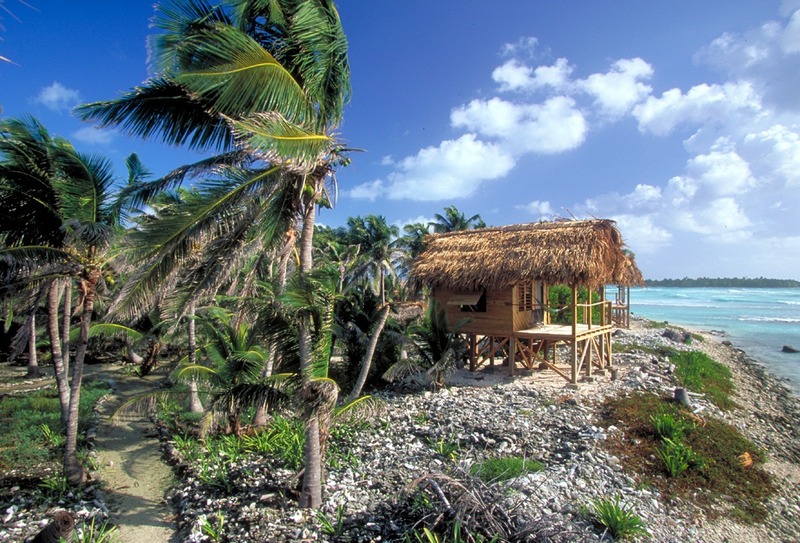 Our Belize private island, Long Caye Resort, is located on the reef ring of the atoll. In recognition of the outstanding quality of the ecosystem, the atoll has been designated a National Marine Reserve and UNESCO World Heritage Site to protect it for future generations. Our Belize island resort sits amidst this underwater paradise, offering a backdrop few locations can match. To read more about the atoll visit our Glover’s Reef page. We also offer detailed maps of Belize. 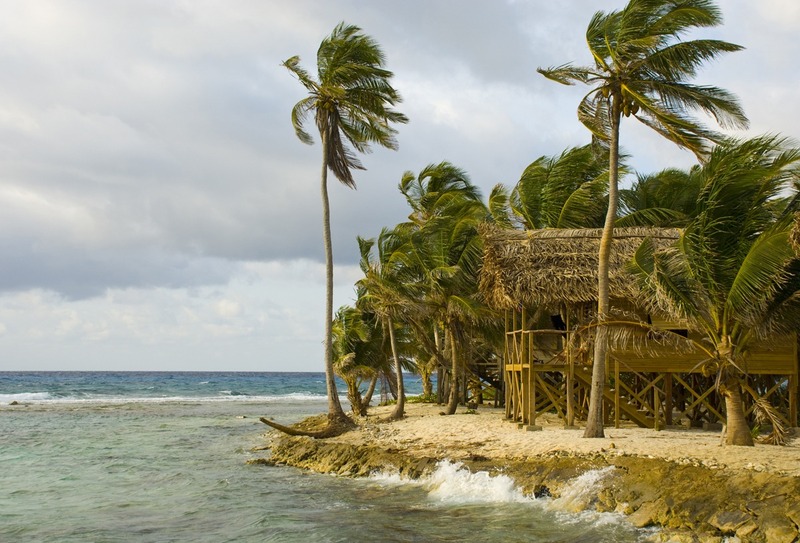 If you need to start with the basics, you can see the location of Belize elsewhere on our site. What’s So Special About Adventure Island? Q: How does your Adventure Island resort compare to a resort like Turtle Inn (in Placencia) or Captain Morgans (on Ambergris Caye)? That is actually a very easy question to answer, because those places are so completely different from our resort, that many of our guests prefer a facility like ours, and comment their friends would only like an upscale property like the Turtle Inn. Turtle Inn and Captain Morgans are high end and very very nice, but what one would call a standard 4-star resort. You will find similar places in Florida and other Caribbean islands. Each of those are one of the higher end places in a huge resort area, where a short walk would bring you to dozens of other resorts, and up to 2000 other visitors at a time. Our place is the premier Belize eco-resort. We have our own island and we do not have more than 38 guests at a time. We don’t use generators, therefore we don’t have standard electricity. We are powered by the sun and wind with a little bit of propane to cook the food. We don’t have private bathrooms or flush toilets. What we focus on is the sport experience, not the lodging. We have looked all over the world for a place comparable to ours and we can’t find one (because we want to go on vacation ourselves.) 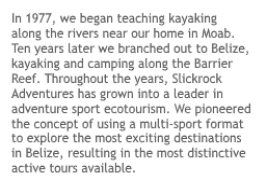 Ours is a unique location with a one-of-a-kind adventure sport program. Our cabanas sit right on the beach and are very very private, very exclusive, but not what you would call “fancy”. No maid stops by your room, ever. At the end of the week when you leave, the boss cleans it for the next person. It’s your home, plain and simple, and you won’t want to leave. We have the best collection of sports gear in the country, without any competition at all. 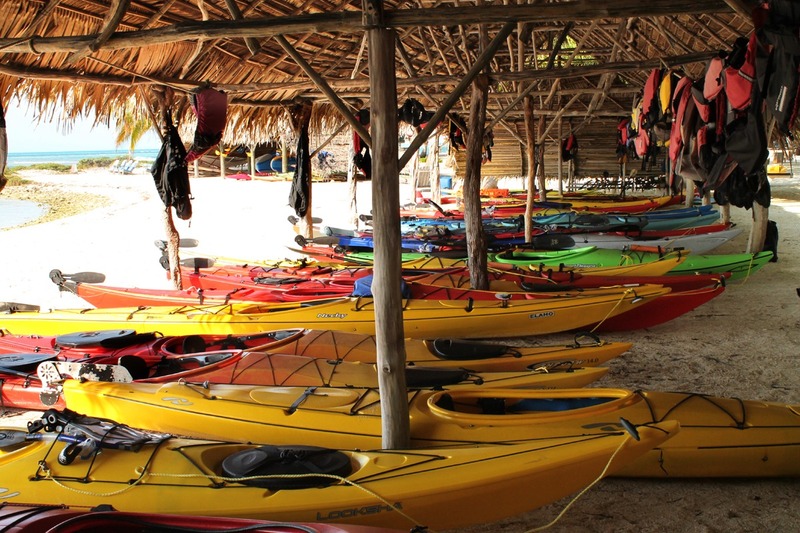 We have expert, enthusiastic guides that teach and guide sea kayaking, snorkeling, scuba diving, windsurfing, kayak surfing, kayak fishing, paddleboarding, kitesurfing, and board surfing. Plus, this is one of the only spots in Belize where you can do shore snorkeling.The diving at Glover’s Reef is the best in the country. At either of the other resorts mentioned above, all snorkeling must be accessed by boats. Our place is really remote, the underwater world is pristine. We have the only surf break in the country not breaking on live coral, so we have surfing too. It’s basic, and incredibly beautiful, but it’s not for everyone. If you come from a camping background, you would call our place “cushy”, but if you are new to adventure travel, you will call it “rustic”. Our guests come back year after year. Every week we hear from our guests that this has been the best vacation of their lives. And our Belize cuisine is fantastic too! We focus on adventure sports. 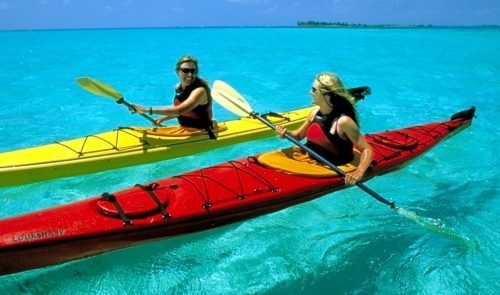 Our Belize water sports center features all of the sports toys anyone could want! This Caribbean private island is unique in that you can snorkel right off shore. Most islands require a boat ride to get to snorkeling spots. 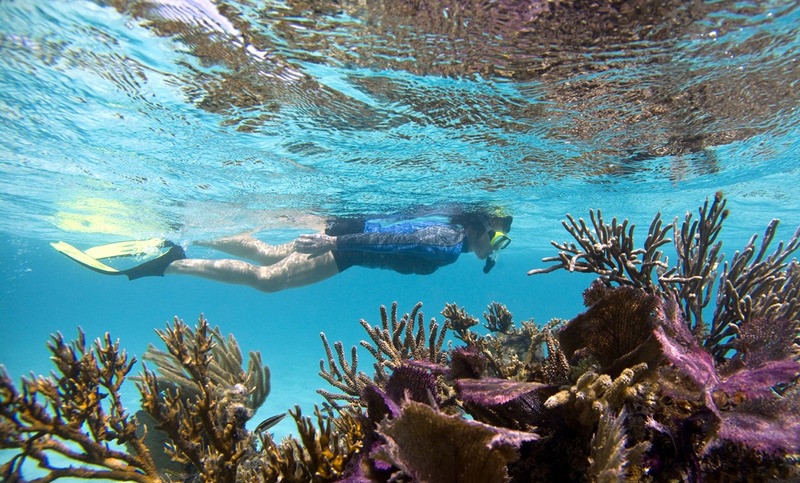 Visit our Belize snorkeling page to see more about what you see while snorkeling. 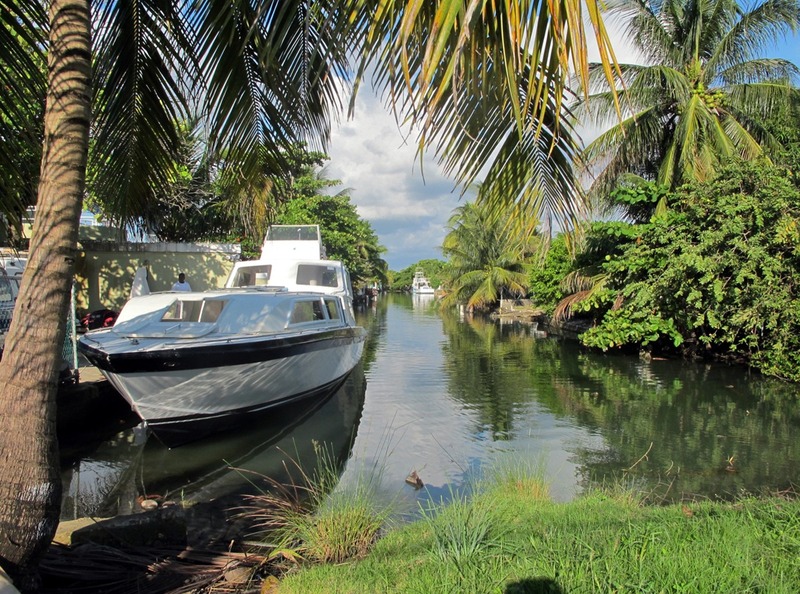 Our private charter boat, Batfish, goes to the island from our private dock in Belize City each Wednesday and Saturday. The cost of the charter is included in the all-inclusive package cost. To read more about the crossing to the island, visit our Transport to Glover’s Reef page.